It's the time of year when we tap into our affinity for relationships, which we hardly view alongside billions of rands or the creation of thousands of much-needed jobs. Well, when it comes to market access, SA's R44bn fresh fruit industry does just that. In fact, a high-level Fruit South Africa (FSA) delegation has just concluded a trip to South Korea, Japan and China to follow up on market-access related matters with the relevant government authorities. Armed with an enhanced appetite for a growing share of the global fruit consumption basket, the industry relies heavily on the tailwinds of constructive trade relations, facilitated by its world-class research, robust risk management, market intelligence and good quality fruit that stands up to international phytosanitary requirements. Market access ranks high on the strategic radar of SA’s export-oriented fresh fruit industry and rightfully so, as more than 60% of the fruit produced is exported annually to more than 90 countries (comprising 50% of all SA’s agricultural exports). Encouragingly, the industry has already started to taste the fruits of its intensified focus. Last year fruit production reached 4.5 million tonnes, marking a 7.9% increase from the previous year. The Southern Hemisphere Association of Fresh Fruit Exporters (SHAFFE) also confirms Asia as an important export market for SA’s fresh fruit. Since the start of FSA’s annual visit to the East during 2014, exports have continued to grow from around 60,000 tonnes during 2013 to about 130,000 tonnes during 2017. In 2017 SA’s fresh fruit industry contributed about 53% to the SHAFFE Asia export total of 246,000 tonnes. The overall resultant revenue has established the industry as a major contributor to South Africa’s overall agricultural output. More than 255,000 South Africans are, therefore gainfully employed directly, with 109,000 employed through downstream services and 8,000 through direct services rendered to the industry. In order to continue to access new markets, industry role players’ presence at international fresh produce trade fairs is vital. It’s an ideal platform for the industry at which to showcase its wares and expertise. These include Fruit Logistica Berlin - where the pavilion is funded by the Department of Trade and Industry (dti); World Food Moscow; Asia Fruit Logistica; Fresh Produce India; the China Fruit and Vegetable Trade Fair; and AgriLink in the Philippines. 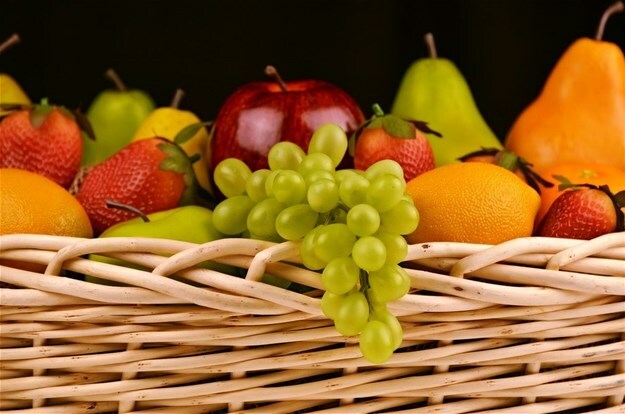 But like any other in SA’s agricultural sector, the fresh fruit industry faces many headwinds in the global trading arena, including fierce competition; strict import regulations; import tariffs; and firm phytosanitary measures. Not to mention industry entry barriers like a prohibitive initial capital investment; a waiting period of five to seven years before trees start bearing fruit; and resultant limited cash flow. Therefore, the industry deems it equally important to build strong relationships with national and provincial government departments, in an effort to gain increased support for its growers. Here, constructive relations with the Department of Agriculture, Forestry and Fisheries (DAFF) and the dti are critical. The industry also maximises engagement with government through forums like the Industry Value Chain Round Table (FIVCRT), to build critical trust between industry, government, labour unions and civil society organisations. As a progressive industry cognizant of its role in maintaining food security, the fresh fruit industry - and agriculture at large - also recognise technology as a significant conduit for leapfrogging. Drones have, for example, become a familiar face amongst growers for monitoring flyovers, assessment of crop health through near-infrared imaging, and identification of stressed zones among crops in need of urgent watering and fertilisation. Amongst the proud brainchildren of the sector are Fruitlook and the Cape Farm Mapper (an online spatial tool). Ethical trade has also become critical in the market access narrative, and it remains prominent on the radar of SA’s fresh fruit industry. When the UK legislated the Modern Day Slavery Act in 2015, it was to address slavery and human trafficking in the country, but also in its global supply chains. The legislation simply requires industry role players to communicate their efforts to combat forced labour on their farms and in their supply chains. Now, countries like France, Australia, the US and the Netherlands are also following suit. With modern day global consumers demanding to know the origins of their food – in order to discern if the process is ethically sound – and especially since we advocate ethical farming processes as an industry, it makes sense to foster a culture of compliance amongst our growers. Siza will be facilitated through training, the process of compliance by demystifying the terminology and unpacking the rules of engagement, to avoid our growers being unknowingly implicated. When it comes to optimisation of existing global markets, a commendation for our compliant growers is in order, for their continued implementation of our strict risk management tactics. Their unwavering commitment is critical to the process. The fresh fruit industry will continue to focus on global and local relationship building, as a critical tool to increase our economic relevance. Nearly 400,000 South Africans’ jobs depend on it.